Almost everyone at one time or another, has experienced shin splints to varying degrees. The pain can be moderately painful, to temporarily debilitating. The pain of shin splints is a sharp sliver that shoots up and down the front of the lower leg. Shin splints are common for beginner runners, mainly because they attempt to run distances that are too far, or have poorly fitting shoes. What running on hard surfaces can also do is aggravate those muscles. There are a variety of ways to avoid getting shin splints, anything from starting slow, to getting proper shoes for your body type and running style. Warming up properly is another solution. When working out, twisting an ankle is common. It can occur when running on a treadmill or when running outdoors. The biggest issue with treadmills, is losing focus and then accidentally stepping off the treadmill while the belt is moving forward. Running outside with improper shoes on uneven terrain, can also cause ankle sprains. What’s recommended is knowing exactly where the “stop” button on the treadmill is, to avoid twisting an ankle, or worse, falling. When jogging outdoors, try staying on level ground such as sidewalks, while avoiding or knowing exactly where the curbs and potholes are, while being careful when running in poor weather such as snow. Foot pain can result from poor posture, this by sitting for too long. What this activates is a chain reaction, that shifts to the feet when standing up. What going for a run with this altered center of gravity does, is naturally tips you forward, resulting in the heel being higher than the toe. The feet and the ankles then takes the brunt of the impact. The solution when experiencing this foot and ankle pain while running or walking, is by finding better fitting shoes, such as one that features a lower-profile heel. Any shoe that will evenly spread out the impact across the entire foot, can help in alleviating these problems. 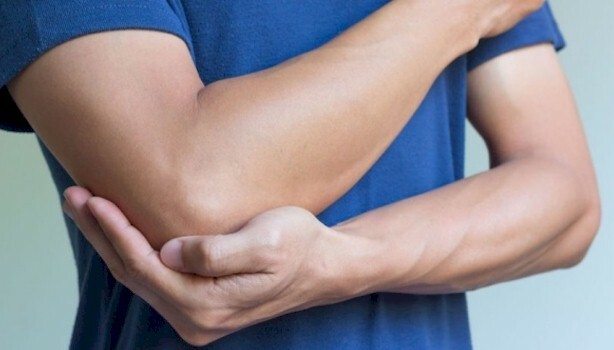 Tendonitis occurs once the tendons which connects the bone to the muscles becomes inflamed, which then causes swelling, irritation and pain. This injury can occur slowly over time, and then build up gradually. It can also occur more suddenly, because of a serious incident or accident. Sporting activities associated with tendonitis, includes elbow based exercises such as golf, tennis, or baseball. The best way to avoid this is by properly stretching out the area before the exercise. There can also be a variety of non-exercise related causes when it comes to tendinitis, such as arthritis, poor posture, and at times an infection.